Eight years. In the rapidly evolving world of automotive technology, eight years is a lifetime. In that time, a tidal wave of technology has made cars more fuel-efficient, more powerful, safer, more autonomous and ultimately more fun to drive. Eight model years is also the amount of time the mid-sized Ford Ranger pickup has been out of the market in Canada and the United States. Now, after a long and agonizing absence for Ranger fans, the legendary pickup is back. Well, the brand is, anyway. Yet as with its arch-rival, GM’s Canyon/Colorado, this version of the Ranger bears little resemblance to its forbear. It’s bigger, it’s roomier, and it has a tiny turbo-boosted four-cylinder engine instead of a V-6. It comes only in automatic and only in all-wheel drive. It no longer has a single cab, coming instead in super-cab and super-crew-cab configurations. It has also paid a visit to the beauty salon. Ford's mid-size Ranger is due to make its return to North American roads. An international version of the Ranger has been on sale overseas, but its been absent from Canadian showrooms for eight model years. Truck nuts will know that an updated Ranger has been available in many parts of the world for several years. 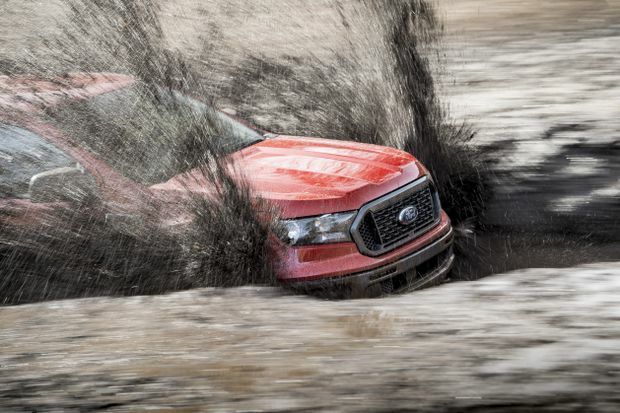 Ford resisted bringing the truck here so it could focus on its best-selling, full-sized F-150. That is, until growth of the mid-sized market forced its hand. And it has. The mid-sized truck segment has almost doubled since 2014, says Brian Bell, Ranger marketing manager. GM got in four years ago with its redesigned Canyon and Colorado. Fiat Chrysler is racing to get its mid-sized 2020 Jeep Gladiator out by mid-2019. This new U.S./Canada version of the Ranger, however, is not a simple copy of the truck available internationally, Bell said. Although it shares that vehicle’s platform, it is its own beast, with a different high-strength steel frame, a different engine and a number of other unique parts. And this one is aimed straight at urban-dwelling weekend warriors. After putting the Ranger through its paces in San Diego, here are five things I really liked, and a couple things I’m not so keen on. The FX4 package adds excellent off-road capability. It looks great. Beauty is only skin deep, but let’s face it: Nobody wants to look like a hillbilly in their pickup. The handsome aerodynamic lines and tres chic colour options (the tangerine-like sabre, lightning blue, hot-pepper red) shout that this is not your grandpa’s farm truck. It’s got a frame-mounted front bumper – and a true boxed frame to attach the bumper to. Yeah, that’s right. No plastic here. This is the real deal. No self-respecting pickup (sorry Honda Ridgeline) is built without a frame. The FX4 off-road version comes battle-ready with skidplates, plenty of clearance, off-road suspension, rear locking differential, and a smooth crawl-control system that handles throttle and braking for you over the toughest terrain. Its terrain-management system has four drive modes – normal; grass, gravel and snow; mud and ruts; and sand. It’s reasonably fuel-efficient. The old Ranger’s 4.0-litre V-6 was stout and hardy. It was also a gas hog. 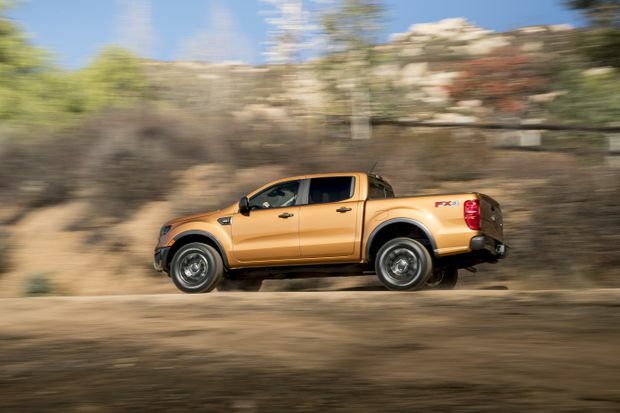 The new Ranger boasts both V-6-like power and fuel efficiency better suited to the times. In real-world driving through hilly regions in Sport mode, the Ranger achieved an admirable 8.0 litres/100 km. A 10-speed transmission keeps the 2.3-litre engine on its peak power. It also shifts so smoothly that it’s almost impossible to detect. The upgrades are sweet. 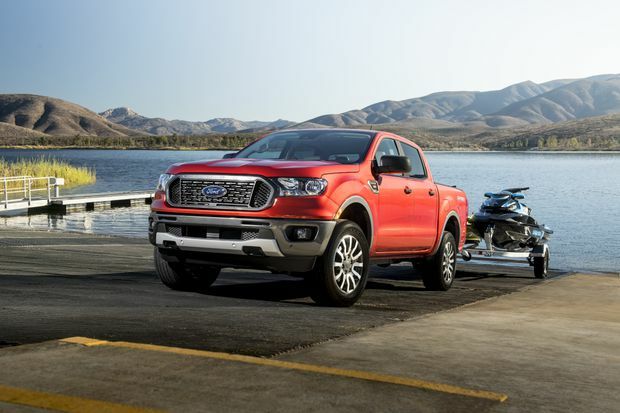 In addition to offering a panoply of tech and comfort choices in the XLT and Lariat models, Ford has partnered with Yakima to provide custom-made accessories, such as kayak racks, bike racks and truck-bed storage options. These add-ons can be financed and warrantied with the rest of the vehicle. 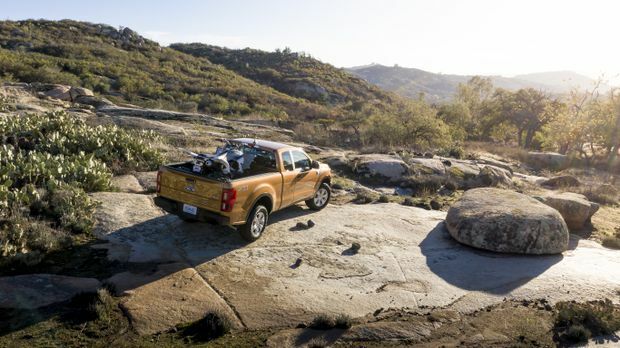 Powered by a four-cylinder engine in place of a gas-guzzling V-6, the new Ranger is relatively fuel-efficient. Can the engine last over the long run? The Ranger’s chief competitors offer tried-and-proven V-6s. Ford offers just a comparatively tiny 2.3-litre, turbo-boosted four cylinder. It delivers more power than the previous Ranger’s V-6 (torque is rated at 310 lb/ft; the old Ranger’s V6 was rated at 238 lb/ft), and can tow up to 3,400 kilograms. Although Ford can cite experience with eco-boost engines that suggest they are “Ford tough,” the true test will be consumers’ experience over time. The bare-bones LT model is not cheap. Although it’s low on tech, has rubber mats and a tiny screen barely three fingers tall, it still lists north of $30,000 in Canada. Ford introduced overtime at its retooled Michigan assembly plant to keep up with initial demand for the Ranger. The company reported sales of 1,200 units in the first month and said 300,000 people have expressed some kind of willingness to buy a Ranger. The company also recalled 3,500 Rangers in the first week of February because of wiring that may prevent the vehicle from locking in park, and then allowing the driver to shift out of park with the vehicle off. The Ranger takes styling cues from its big brother, the F-150, and adds a touch of “bratty sibling” to the look. It looks equally comfortable in the city or off-road. The interior of the super-crew model seats five with adequate, but not generous, rear legroom. The base XL model is all work, right down to the rubber floor mats. The top-end Lariat trim level has handsome tan-coloured leather and an eight-inch touchscreen infotainment system running Ford’s SYNC 3 software, as well as a pair of colour displays in the instrument cluster. The mid- to high-level trim levels (XLT and Lariat) ride smoothly and stay remarkably level through speedy turns. The little 2.3-litre four cylinder engine has V-6 power thanks to turbo boost, with rapid throttle response. Off-road capability on the optional FX4 package is exceptional. There is lots of great tech available, if you’re willing to ante up for optional features, such as Ford’s SYNC 3 system. The instrument cluster features dual LCD productivity screens for real-time vehicle, navigation and audio information. The XLT and Lariat also come with a blind-spot information system to ease manoeuvres with a trailer. Optional features include 4G LTE WiFi hotspot functionality, 115-volt power outlets, a B&O Play sound system, navigation, and LED headlights and taillights. The five-foot box is the only option on the super-crew (five-passenger) configuration. The super-cab (with the mini jump seats) has a much roomier six-foot box. The reborn Ranger is a strong contender in the mid-sized pickup segment. This thoroughly modern pickup is laying down a challenge to the Toyota Tacoma, which has long dominated the segment. Smoother, slicker, more agile and more refined than its Japanese competitor, this Ranger should be on your short-list of mid-sized pickup choices.